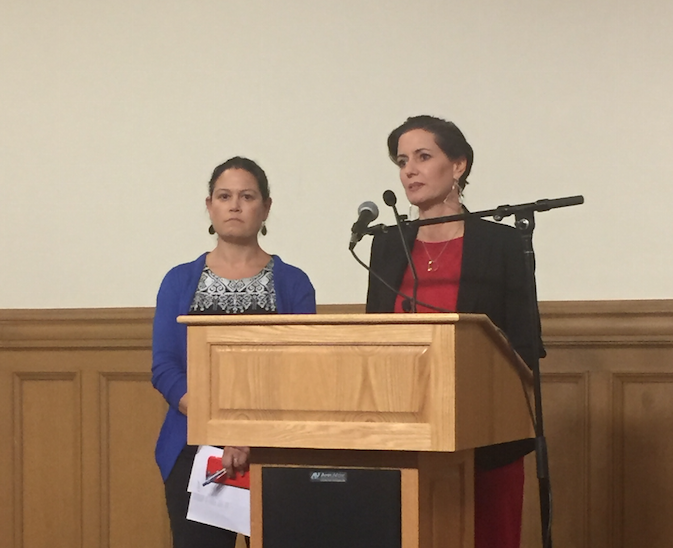 "We are hell bent on rooting out this disgusting culture," said a visibly angry Oakland Mayor Libby Schaaf at a Friday evening press conference. The conference was called to announce acting Police Chief Paul Figueroa's abrupt departure. Figueroa is the third OPD chief removed within the week. Chief Whent was eliminated Thursday, June 9. BART Deputy Chief Ben Fairow replaced Whent a week ago. Fairow lasted only five days before being fired. Replacing Fairow was OPD Assistant Police Chief Paul Figueroa, appointed acting chief on June 15. Figueroa will be demoted to captain. This evening, Schaaf and Landreth dropped more bad news on a city that is already reeling from multiple police scandals: command-level officers are now being investigated for sending racist text messages. At least one officer has been placed on leave because of the racist texts. Until a month ago OPD was a national model for police reform and appeared to be on the verge of completing a 13-year federal oversight program imposed after the Riders scandal. That's all in ashes. Schaaf (right) and Landreth at City Hall on Friday, June 17. "I'm running a police department, not a frat house," said Schaaf. The mayor said she intends to root out a "toxic macho culture" from the police department. Schaaf declined to identify the officers who allegedly sent racist text messages, but they reportedly include commanders in the department. Now OPD has no police chief. City Administrator Sabrina Landreth is running the Oakland Police. "I feel this is an appropriate time to place civilian leadership over the department" said Schaaf. For weeks, OPD has been careening out of control. Oakland now resembles Game of Thrones sans tunics, swords and dragons. New secrets emerge daily that undermine the legitimacy of the department's top leadership. 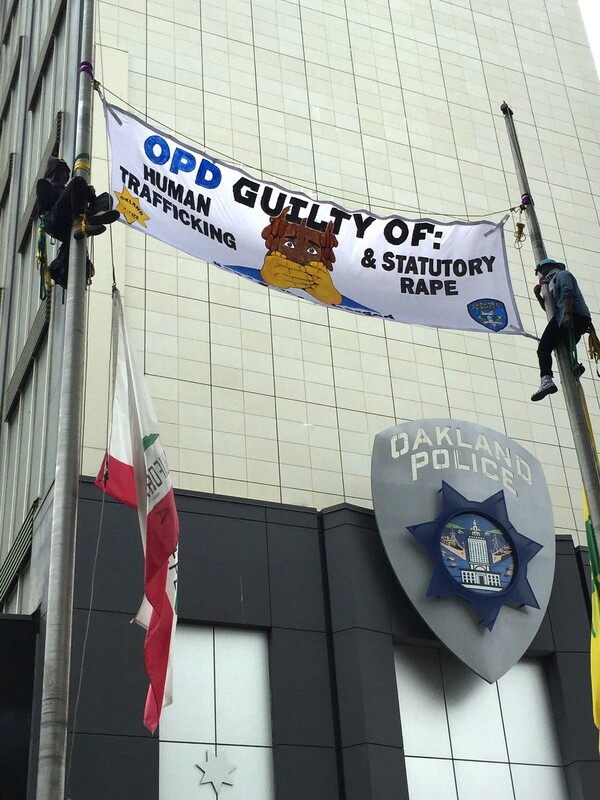 On the streets, OPD's rank and file officers appear visibly ashamed. The city's political leaders seem to be unaware of the department's systemic problems. A sign with the Latin phrase "Et tu, Brute?" was briefly posted in a locker room in OPD's administration building on the day of Fairow's ouster. A photograph of Figueroa's face superimposed on a rat's body was circulating this week within OPD's social circles. In response to a question from the Express, the mayor said she's hoping to not have to fire anyone else from OPD.